Paintin’ With Puddin’. | Red Sonika. 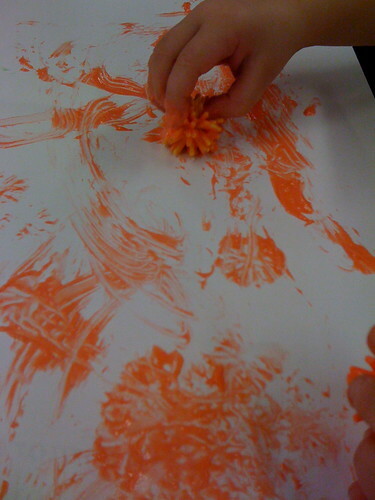 Thing 2 attends an art/music “workshop” on Wednesdays and this past week had an activity that he really, REALLY got into. Man did he ever love it. 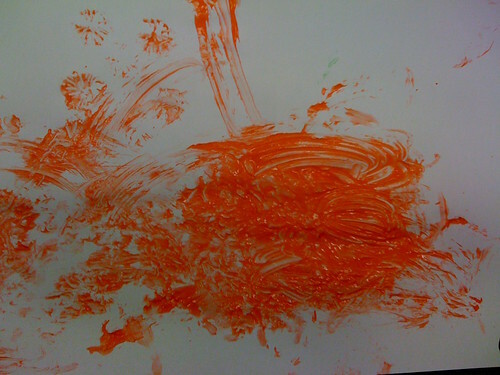 All of the kids that participated in Paintin’ With Puddin’ were totally, totally entranced. Behold! Vanilla pudding with food coloring! And some spiky balls! Verdict: A++ WOULD PAINT AGAIN. Filed in Arts & Farts, Boyland, Mary Poppins-ing. « (Not) For Babies: Kindin Einar. Your life you like it well.